The photo for the painting I took during my 2016 trip to Scotland. Loved this course except for about 3 holes that were added later and just frankly didn’t fit in. This hole had a great view and a wonderful green. This 11×14 inch oil on linen board captures to Auld Grey Toon well. 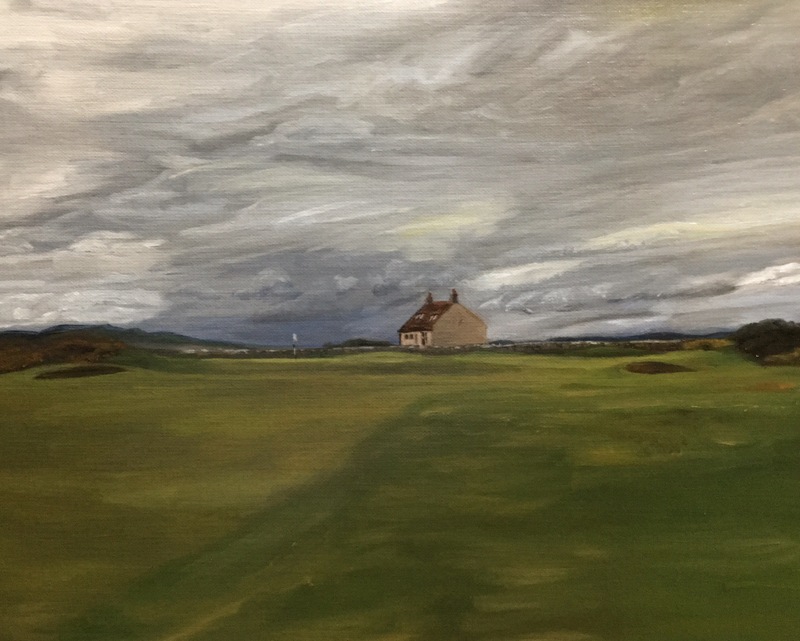 Posted in Art, Golf, Landscape, Oil paintingTagged golf, golfart, golfartist, golflandscape, linksgolf, oil painting, oilpainting, St. AndrewsBookmark the permalink.